Once the initial euphoria of having arrived in safety wears off, and the frantic pace of the first weeks in Germany slows down, there is time to reflect – and to worry. Days are marked by waiting for the mail to arrive, bringing news about the asylum process. 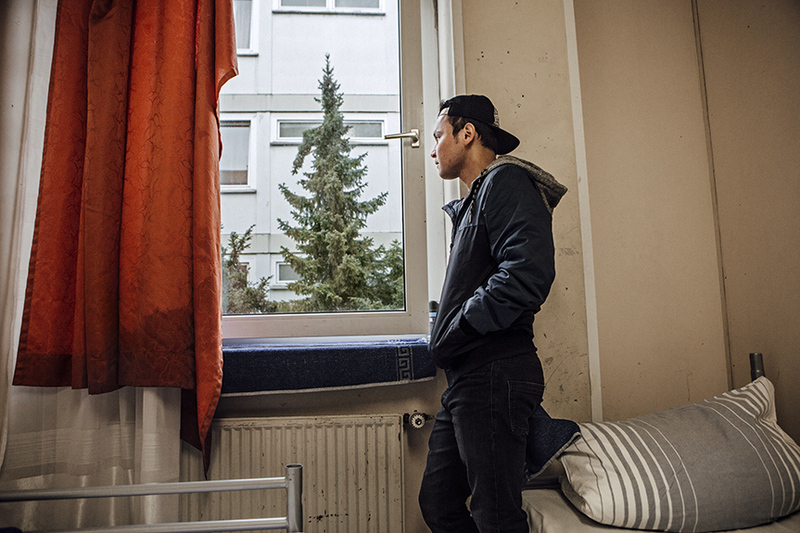 The living in limbo, waiting for the next Termin and the eventual asylum decision, will weigh on anyone; the feeling of loneliness and isolation can be especially trying for those young people who have come to Germany by themselves after having spent their childhoods and youths as part of tightly-knit extended families. “At home we live with five, six people in one room, we eat together, it’s really different. I am alone here, thinking about them."